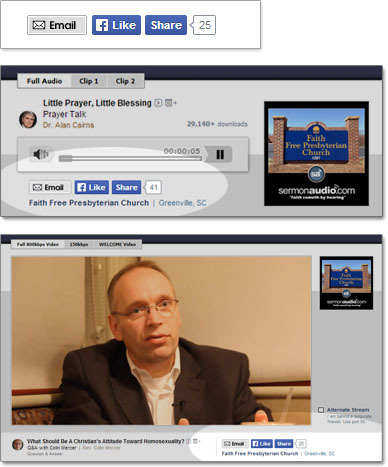 SermonAudio.com | SermonAudio Tip: Facebook Like+Share Everywhere Helps Spread the Word! Facebook Like+Share Everywhere Helps Spread the Word! Facebook is the fastest-growing social networking phenomenon which has skyrocketed to over a billion users in just a few short years. It allows family, friends, and church members to keep in touch via a network of relationships. SermonAudio now offers automatic Facebook Like+Share Integration which allows anyone with a Facebook account to LIKE or SHARE any sermon, homepage, blog, event, store, photo, news item with a single click. New! Sharing everywhere! 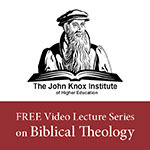 These buttons are now integrated everywhere on all audio+video PLAYERS, in addition to the actual sermon pages. They also appear on live webcast players to share webcasts in progress, as well as our Radio Stream! It's about the network! Here's how it works. When someone clicks on the LIKE or SHARE button for your sermon, it instantly displays it to all friends in their network. And if one of those friends also clicks on that LIKE or SHARE notification, it sends it along to their network of friends .. and so on. It's easy to see how this simple mechanism can easily become an effective way to provide additional exposure for your church! We would therefore encourage you to find your church homepage in the broadcasters section, scroll to the bottom and click on the LIKE button there. Similarly, go to any sermon and click on the LIKE or SHARE button. It's one-click easy and it increases exposure for your church! The LIKE button is integrated on every blog, album, events, store page as well. So if there's a particular photo or blog you enjoyed, click the LIKE button and share it with your friends. It's never been easier to share great content! Facebook LIKE Integration on the iPhone! Our SermonAudio App also supports Facebook integration so it's easier than ever now to share a sermon you enjoyed to all your friends on Facebook with a single click of the built-in LIKE button in our app! Use the SHARE button on any sermon for additional ways to share! New! Facebook + Sermon Browser! You can now fully integrate your sermons directly into your church's Facebook page! For step-by-step details on how to make this work, please take a look at our video tutorial.